A less than 20-minute drive from Remy's Refuge is Showcase of Citrus, a pick-your-own citrus grove. Take it from us, this place is FANTASTIC! Admission is free and a wide variety of citrus fruit is available that you can pick year-round. 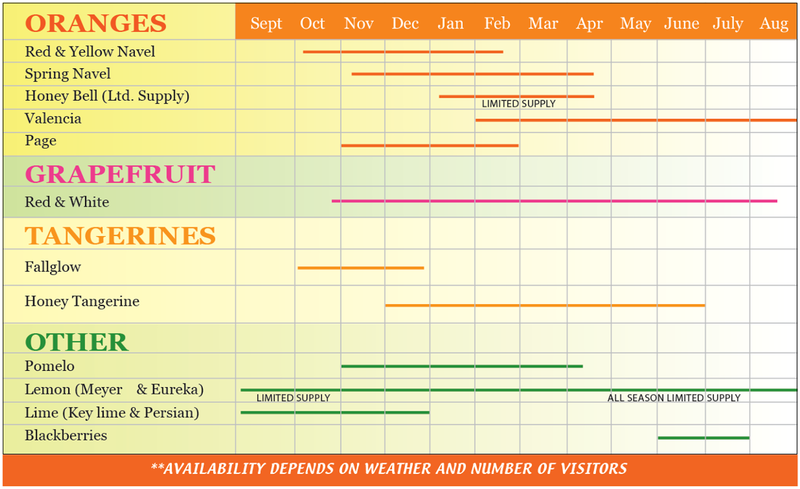 Check out the chart below to find out what's in season during your planned stay at Remy's Refuge. In addition to the fresh fruit, the on-site general store serves up world-famous slushies made from pure freshly-squeezed orange juice. Want a twist on the original? Try a "creamsicle": a mix of the original slushy swirled with frozen yogurt...heavenly! Still not convinced? 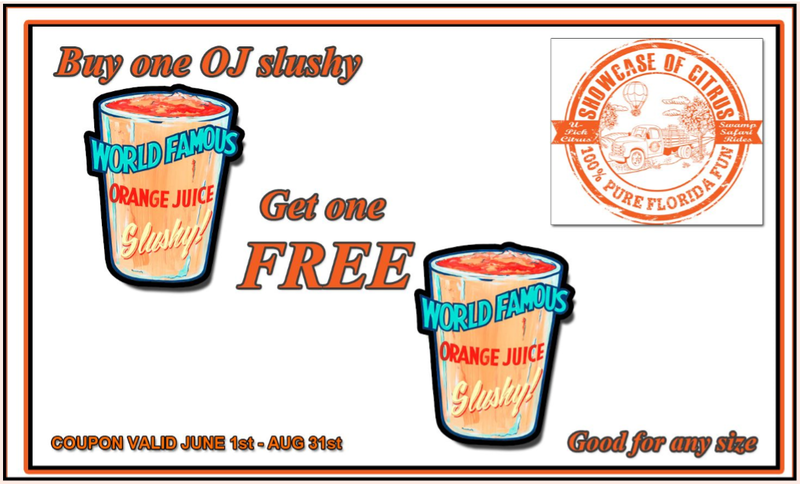 Here's a coupon for buy one slushy, get one free! What more could you ask for? an updated one on our Resources page. If picking fruit and enjoying slushies isn't enough for you, at Showcase of Citrus you can visit and feed the farm animals, play at the playground, do some catch-and-release fishing (bring your own pole), enjoy some live music on the weekends or try the Eco-Safari tour in the world's largest 4x4 truck where you'll see zebra, water buffalo, alligators and more! For more information on Showcase of Citrus, you can visit their site directly at their website.